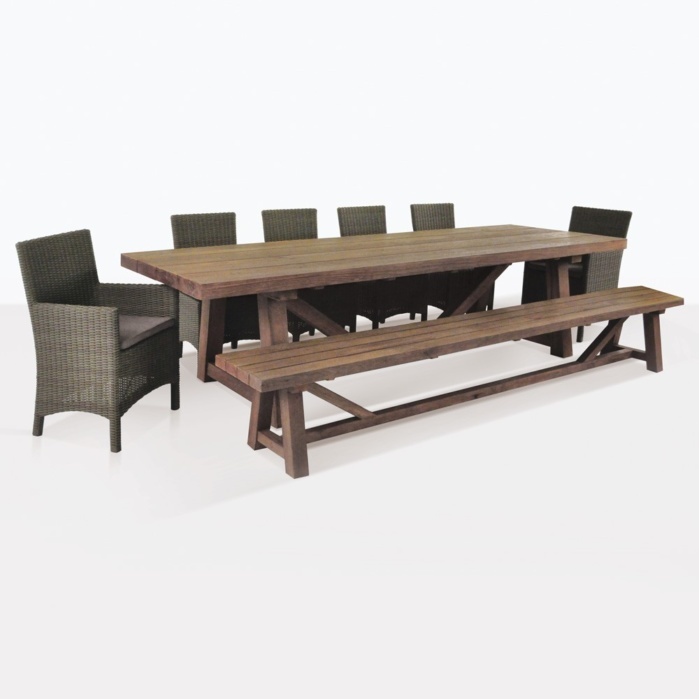 This dining set is perfect for outdoor dining for those who appreciate the classic country as well as rustic style. 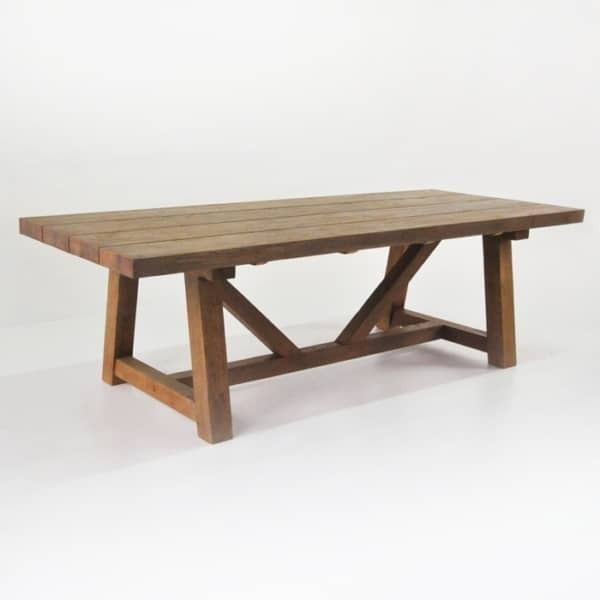 The table in this set is our ever-popular 117″ trestle table that features chunky slabs of reclaimed teak to create the country look. 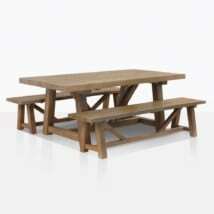 We offer our longest trestle table in this outdoor dining set. This table can fit 3 of our Petra side chairs comfortably in between the legs of the table. 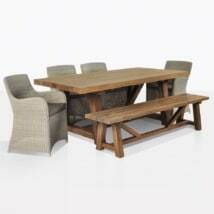 To seat even more, you are able to seat at least 4 on our wicker side chairs by utilizing the space outside of the legs of the table. We also include two Petra armchairs, for a total of six chairs with this set. 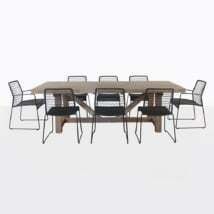 Our Petra chairs add style to any dining table they are paired to. This chair works extremely well with the trestle table in looks and comfort also height of the back. The chairs are made up of Viro® outdoor wicker, which is one of the main companies we use for our outdoor material which will not fade or crack in the heat The is one of a few brands of outdoor wicker material that is of the highest standard. Manufactured in Indonesia. 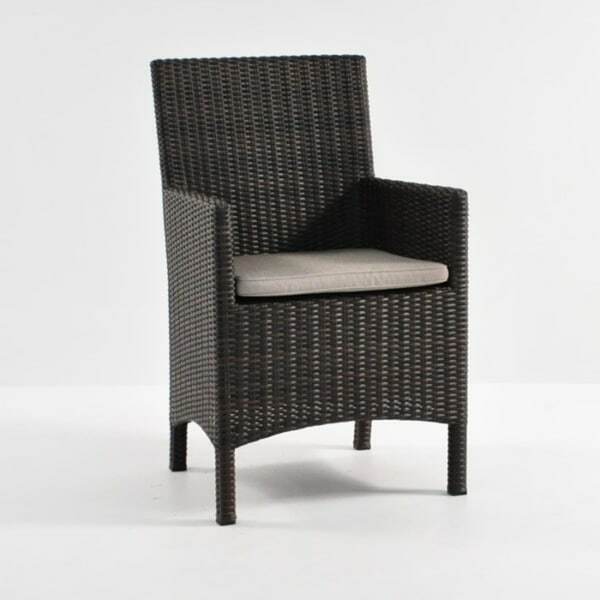 The cushions that comes with the Petra chairs are made from Sunbrella® fabric, free of charge! 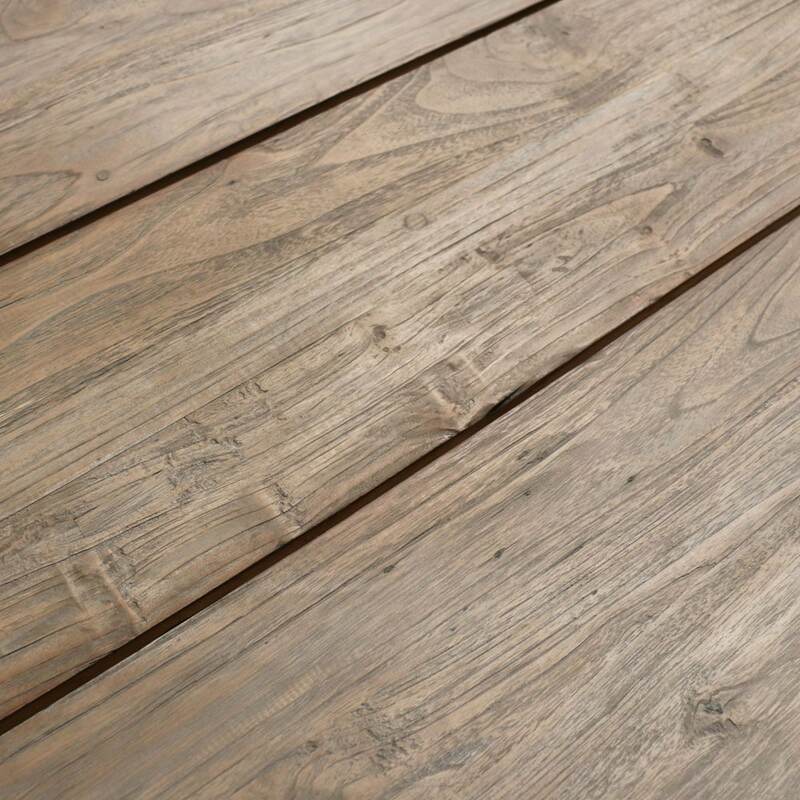 We choose this Sunbrella® fabric because of its dedication to eco-friendly manufacturing as well as being easy to clean and can weather the elements. 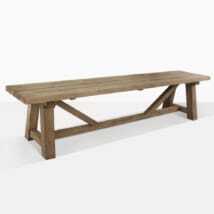 To continue with the country theme for this dining set, we are also including our reclaimed teak trestle bench. 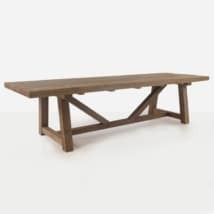 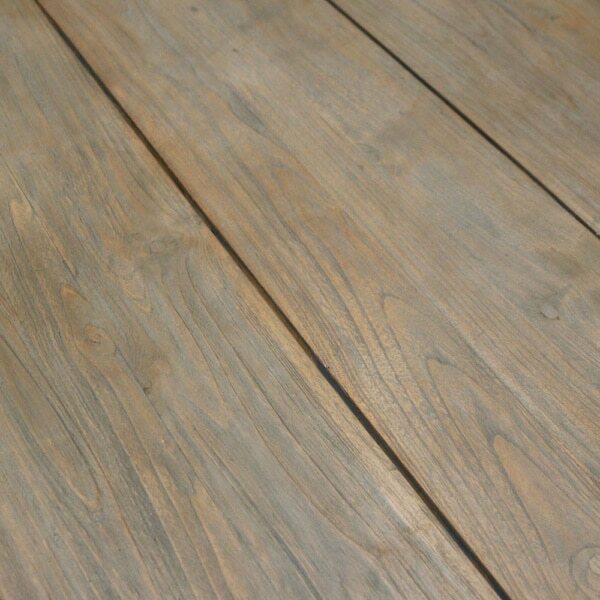 It has the same lines and construction style as the table. 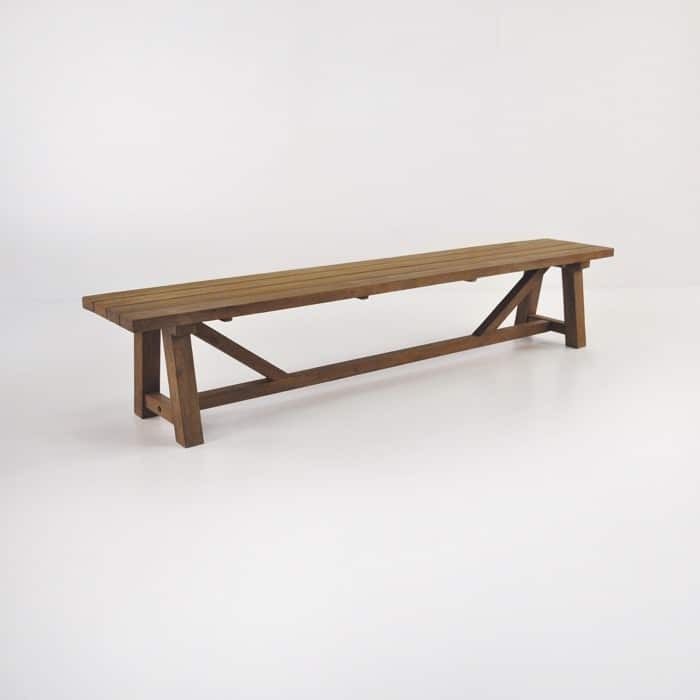 We include our longest trestle bench, which measures in at 114” long, almost a perfect match with the table.